I love writing and composing text. I love marrying images to words and, for this reason I trained to be a graphic designer. 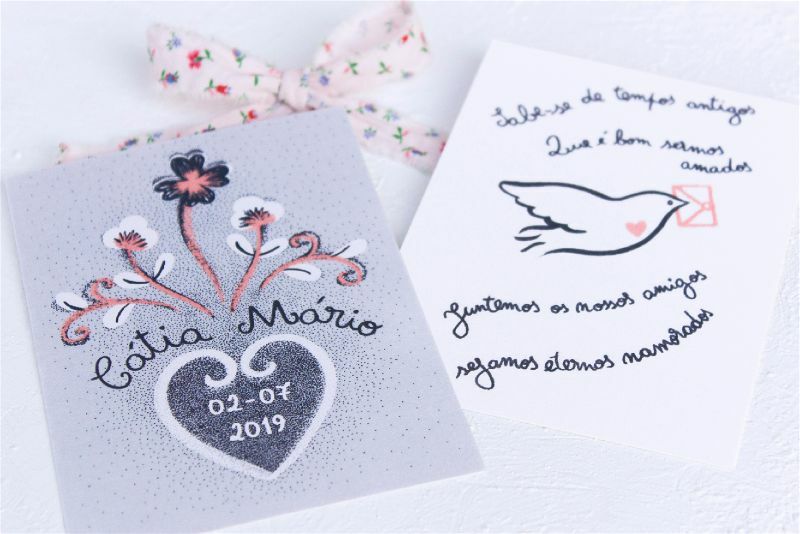 During my studies I found out that I love to illustrate, however, when two close friends of mine decided to get married in 2017, I was far from imagining that designing wedding invitations would become a job in its own right. 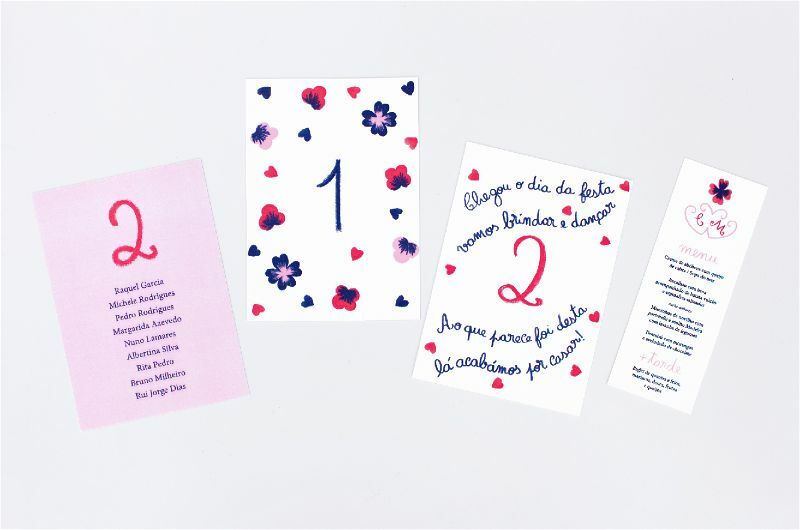 Even so, after designing their full stationery suite I got the wedding bug and I never looked back. 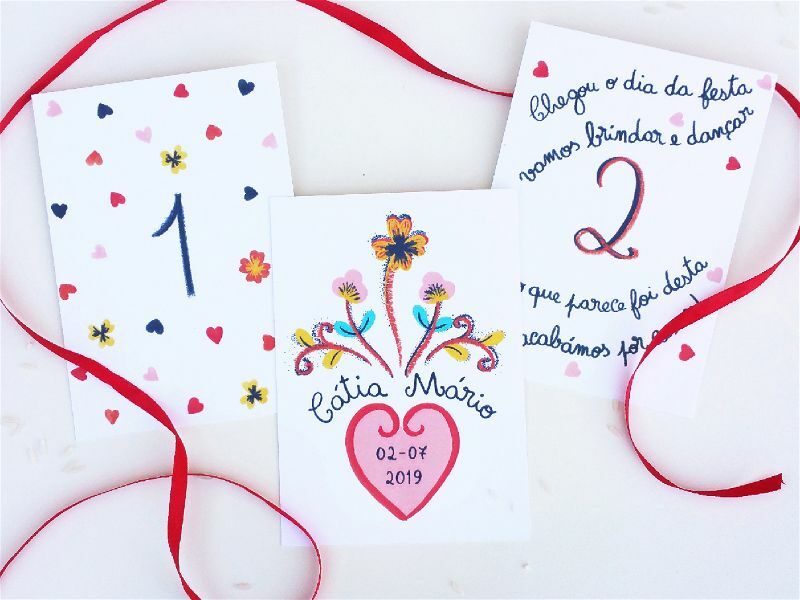 I love being a stationer because it gives further meaning to the images and words I work with every single day, turning them into evidence of trust, joy and love. It is an honour, but also a pleasure. 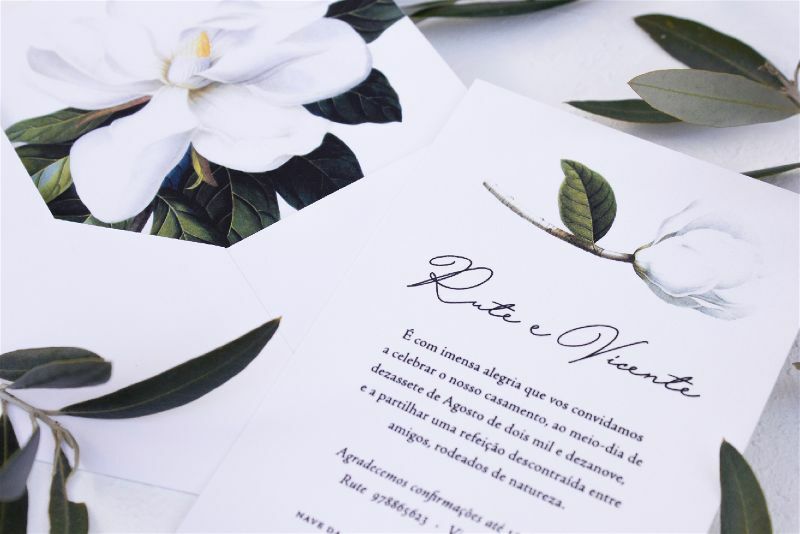 Oficina Primavera is a small studio that creates meaningful illustrations and stationery for weddings and other special events, either in printed or digital forms. 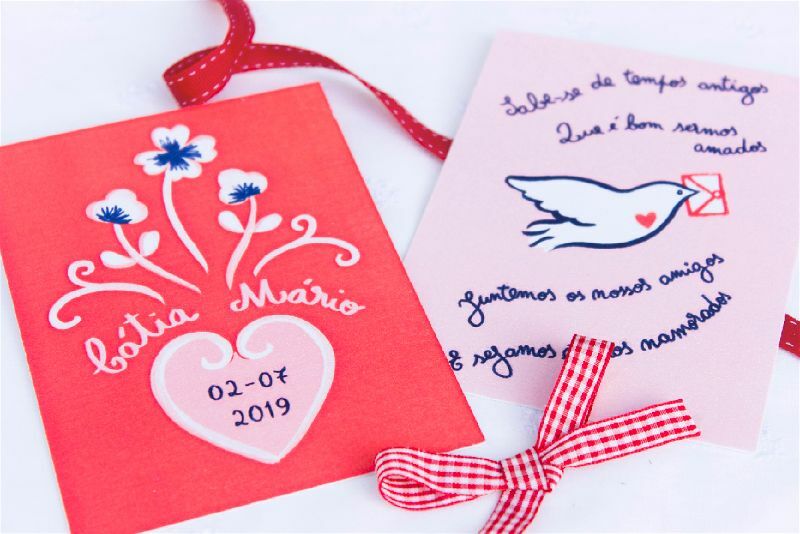 It crafts products for couples that feel happy not going by the book and look forward to a heartfelt celebration of love. 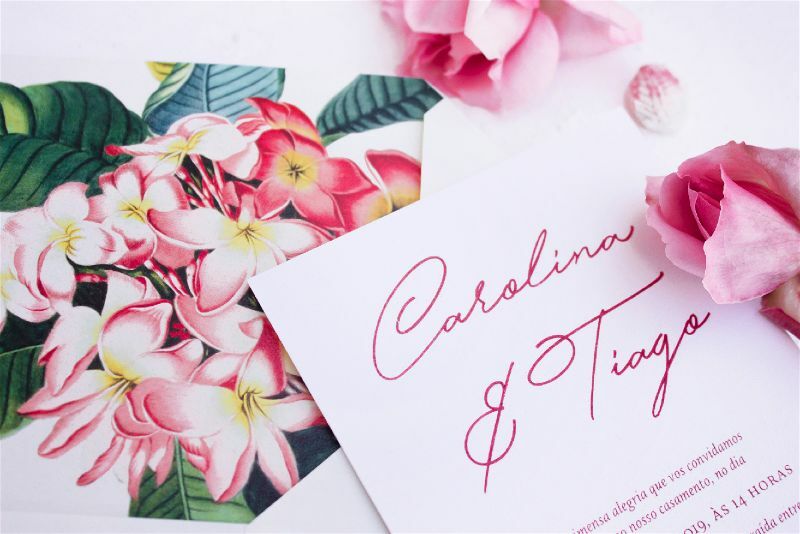 Our collections and services allow for distinct levels of customisation at differing price points, from our standard stationery suite to bespoke projects tailored to your personalities, story and desires, without forgoing a middle range composed of one-off products at great value for money. 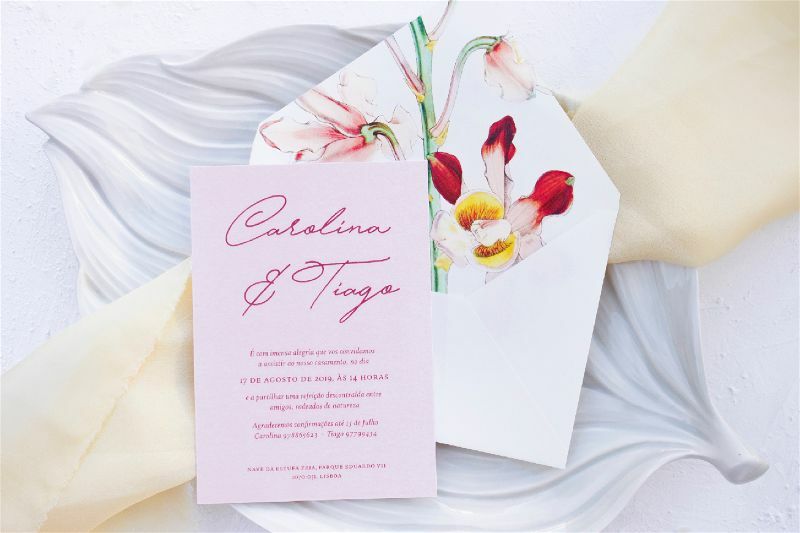 virtually every type of small format items that have paper as their base material. 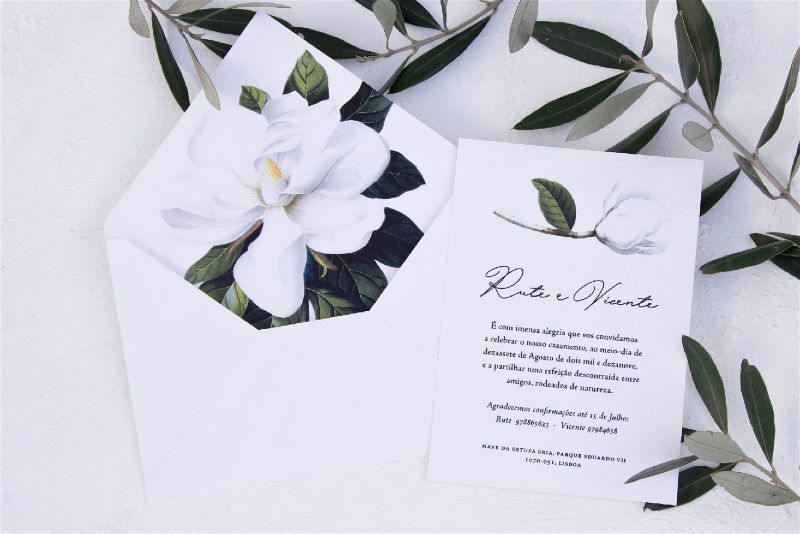 We work mostly with fine papers produced in the UK and Italy and with digital printing technology, because of its convenience for small print runs. 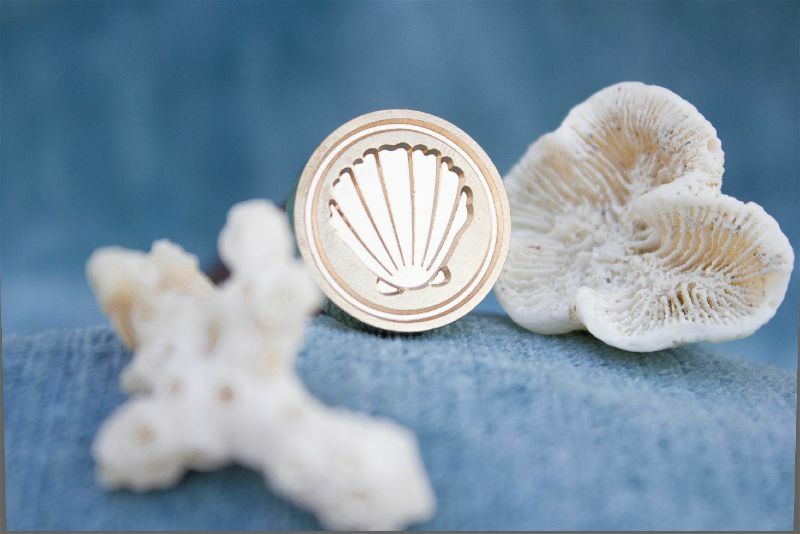 We also offer several different finishing techniques and embellishments and are able to outsource other printing methods upon request. We also offer graphic design services to trade professionals. 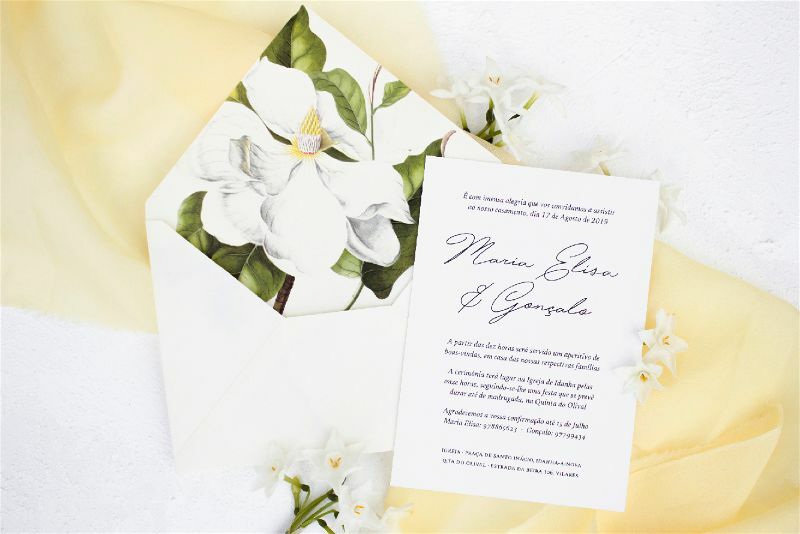 “I loved every detail about our wedding, beginning with our invitation suite! 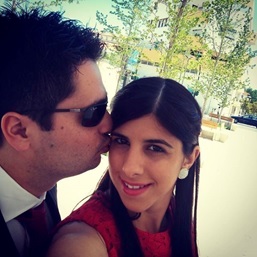 Cândida is someone who is easy to deal with, being truly professional, dedicated and committed. We’ve come to know of her work through a friend’s recommendation and it turned out to be a pleasant surprise. 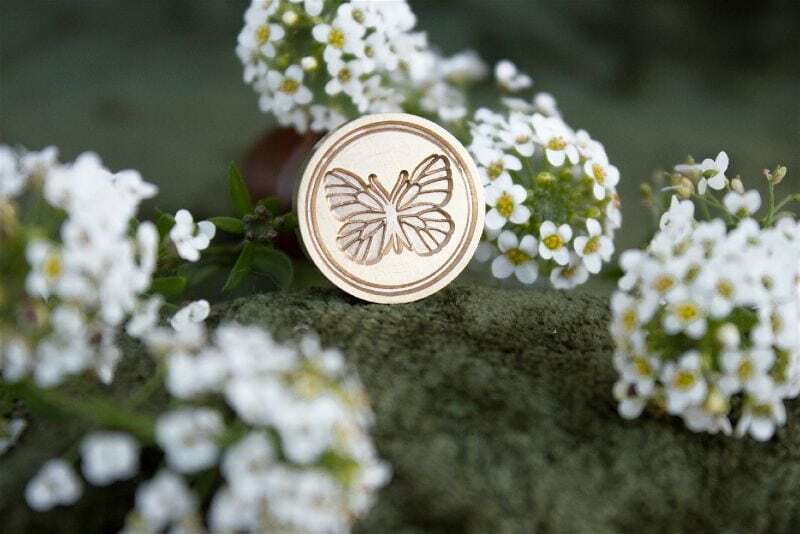 She understood our ideas, helped us decide on the details and the project turned out amazing. 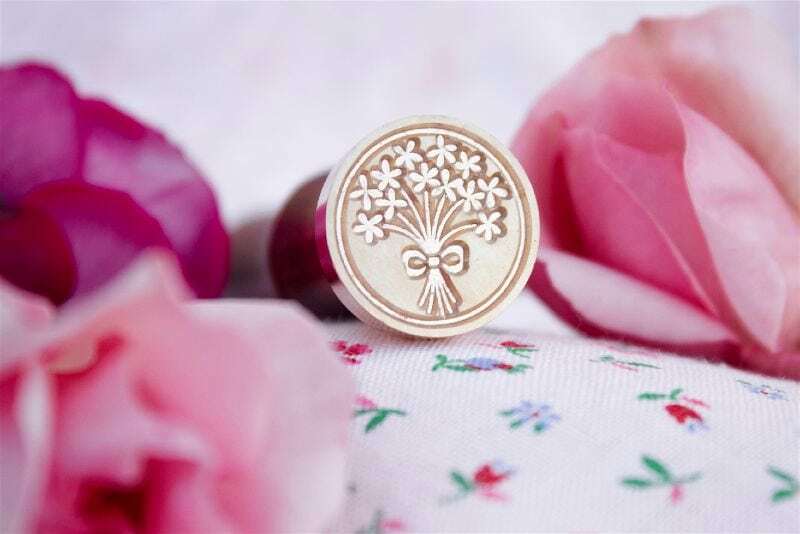 We ordered invitations, envelopes, a customised wax seal stamp and menus from her. 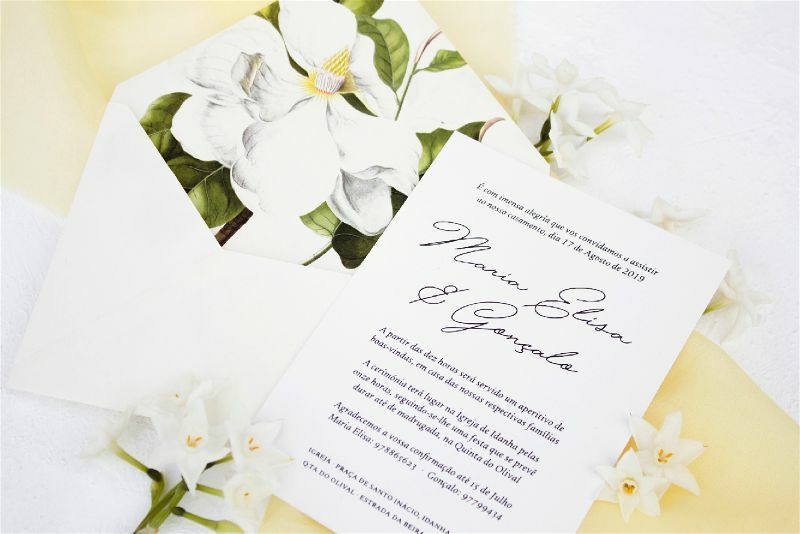 Most couples like to pair their wedding stationery to some other detail of the ceremony such as flowers, venue or a theme however, due the usually long period between getting engaged and married, people often change their minds about a lot of issues, either by being confronted with other options or when facing constraints. 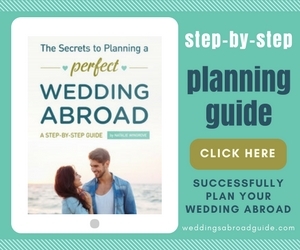 In order not be overwhelmed when ordering bespoke services from vendors, I advise couples to firstly settle a strict budget, booking their venue(s) right after. Only then, eventually based on the venue vibe, it will be the time to start thinking about the general feel one wants to convey to the wedding day, focusing first on binaries such as formal/casual, bold/understated, dark/light and so on. It will be easier and eventually cheaper for you to decide on a colour palette early on, even if you also want to go for a theme that you haven’t decided on yet. 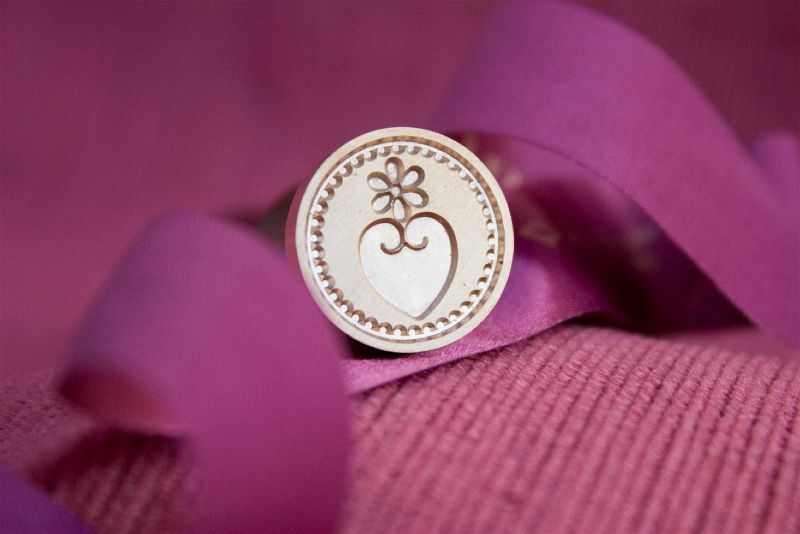 That way you can start looking for your attire, invitations and flowers -assuming you are not set on specific ones. 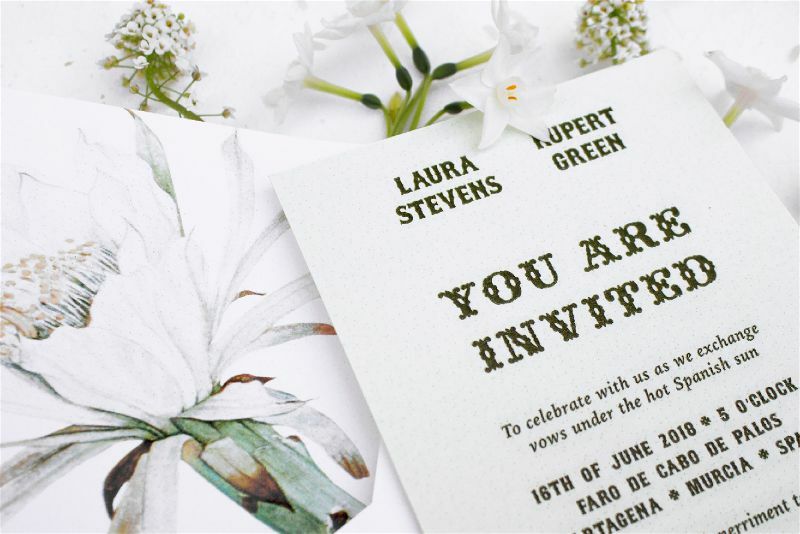 Let’s however imagine you want your wedding flowers depicted in your stationery – and that you want peach-coloured daffodils for your ceremony in early September. 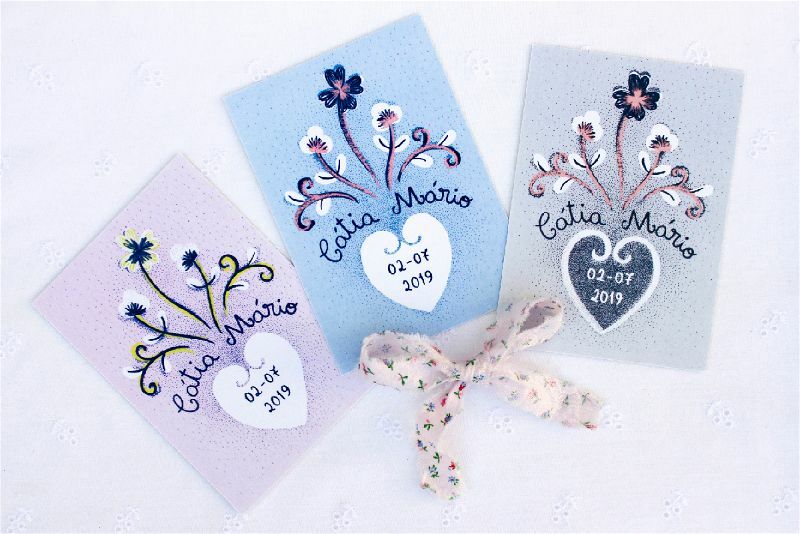 In such case I advise you to enquire your floral designer before contacting your stationer so as to make sure that your choice is possible both is terms of availability and affordability. 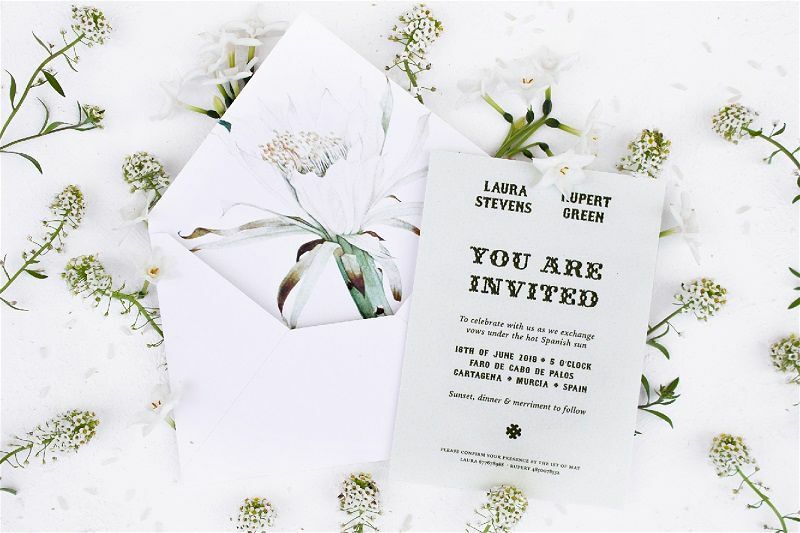 If it happens the other way around with you wanting your favourite flower to make an appearance at least in your stationery, the palette will keep your other wedding-related decisions grounded, giving both your floral artist and other suppliers the opportunity to pull off an amazing work. 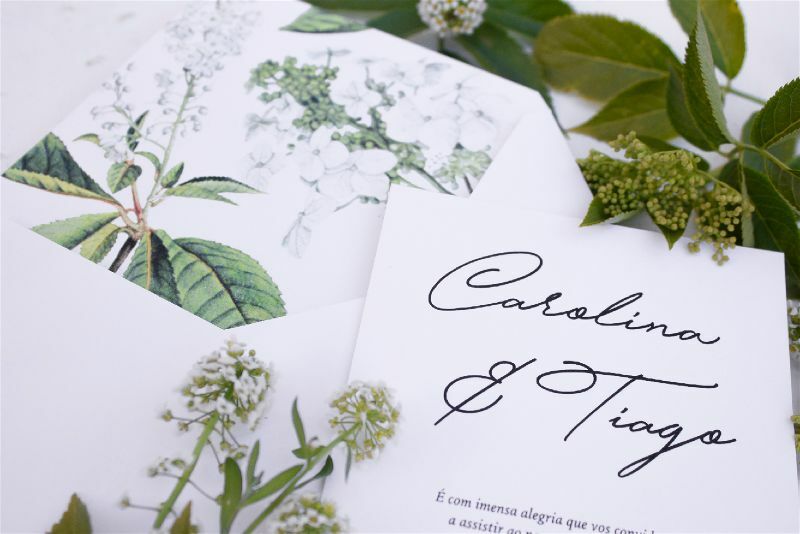 Free shipping (signed for deliveries): Portugal – on orders over 400 € / Rest of the World – on orders over 500 €. 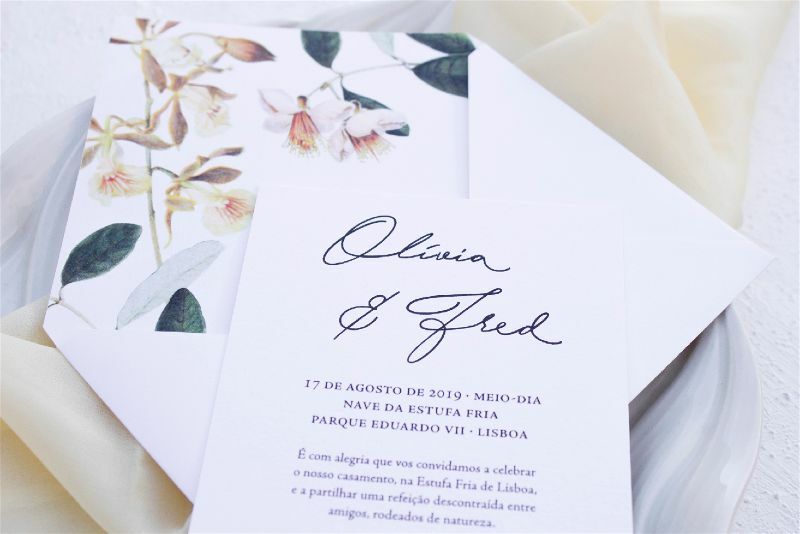 By ordering wedding invitations from us you get a discount of 10% on subsequent orders of menus, seating charts and guest books (before VAT and shipping costs). 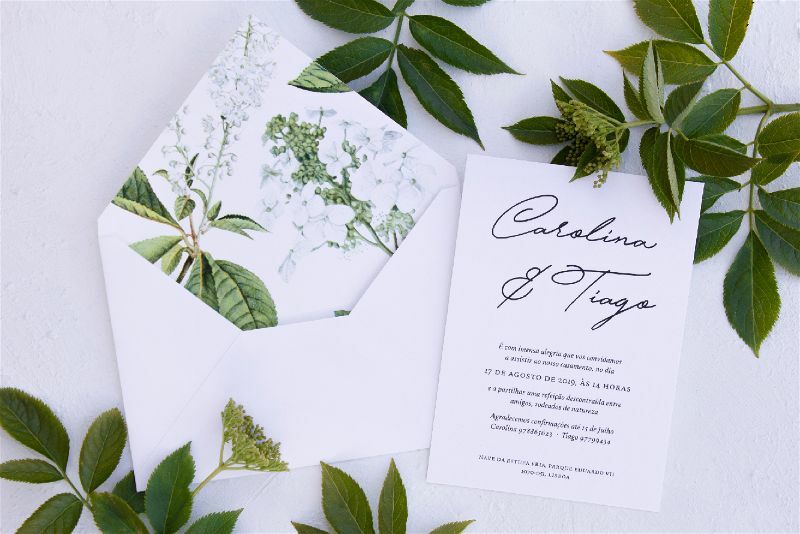 Oficina Primavera is a small graphic design and illustration studio specialising in wedding stationary in both printed and digital forms. 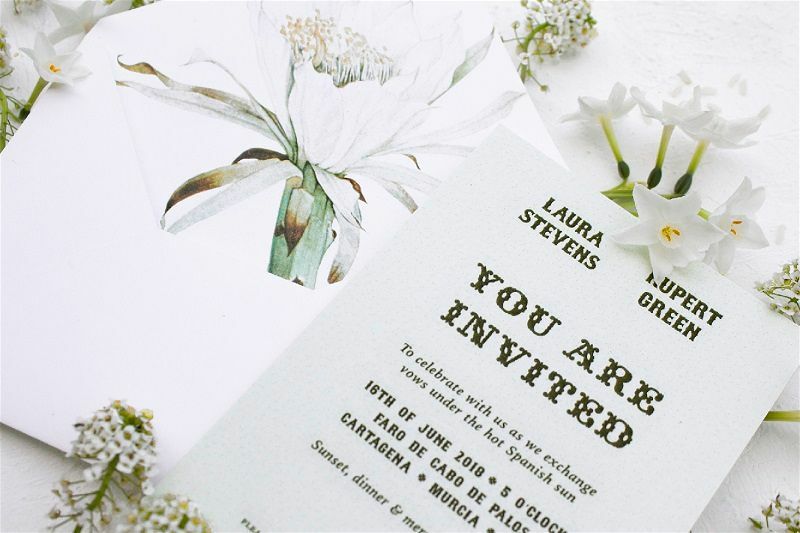 They offer standard stationery suites as well as bespoke projects tailored to your requirements. 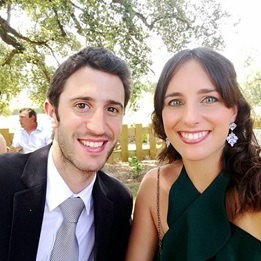 Based in Portugal, they ship worldwide and have a no minimum order policy.